The majority of the restaurant reviews you read on this site come from dining out mid-week, and there’s a good reason for that. I’m often not very energetic when it comes to my weeknight cooking. With most people, the inverse is true: the bulk of their kitchen time is during the week and they use their weekends to go out and have fun and dine around town. Not me. I like to have good quality weekend time with my kitchen. But not on weeknights. On weeknights, I want to be either 1) napping, 2) getting up from a nap, 3) writing, 4) accomplishing the various post-work tasks I normally have to see to, 5) going to the gym (that’s right, pumping iron, alright! ), 6)….. you get the picture. I don’t really want to cook. I eat leftovers. I eat cereal. Sometimes I eat peanut butter and honey on toast and call it a meal. Sad, but true. My laziness gives way to a decent recipe about every six months. Tuesday was one such night, when, needing to use up the leftover tofu from the weekend’s Southern feast, I decided to make a sandwich. 1) Extra Firm, Extra Pressed: Buy extra firm tofu, drain it, then press it until most of the excess moisture is out. You can gently press on it with your hands (like a sponge), or you can set up some kind of contraption to do the work for you. I balance a cutting board so that a side drains into the sink, then put the tofu on there. I cover it in paper towels, put a plate on top, and then add a few cans or bags of beans. Thirty minutes and the tofu has gone from wet and crumbly to… well, drier and crumbly. But the results really show in the cooking. 2) Don’t just fry it, coat it and fry it: Frying tofu can be awesome without any extra ingredients aside from oil and a few seasonings. But if you’re squeamish about the possible squish, coat tofu slices like you would chicken fillets. It takes to a breading really, really well, and it can often times smooth the transition into eating it. – Mix the flour, baking powder, and seasonings in a large shallow bowl. Coat each piece of tofu in the mixture. Fry the slices until golden on both sides. – Assemble your sandwich. 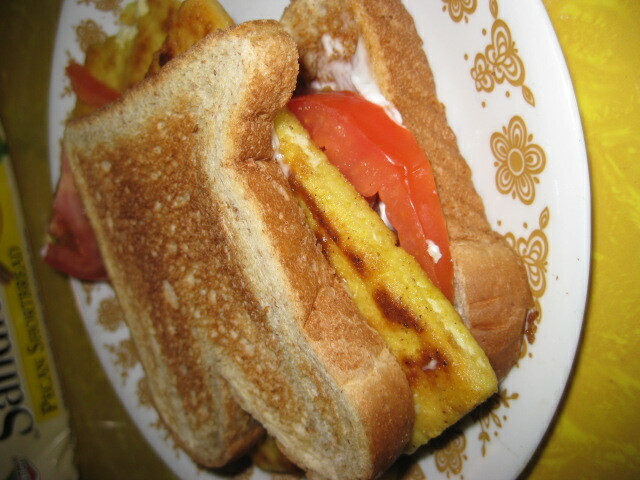 Apply vegan mayo to one or both sides of toast, layer with tofu, lettuce, and tomato. So, if the concept of Meatless Mondays are to cut down on overall meat-consumption by dedicating one day to meatlessness, then I am right there with it. Much of my week is dedicated to meatlessness, in fact. But if the concept of Meatless Mondays are to invent and prepare meals that are meatless and healthier than we may normally eat… well, I may have missed the mark. Vegan soul food exists. Anyone who tells you differently has never been down to the freaky little college towns of the South, like Athens, GA, where soul food and vegan cuisine commingle in ecstatic proportions. Then there are terrific vegan cookbooks like Alicia Simpson’s Quick and Easy Vegan Comfort Food, a book that while not strictly soul food-oriented, has more than a majority’s share of veganized Southern dishes. 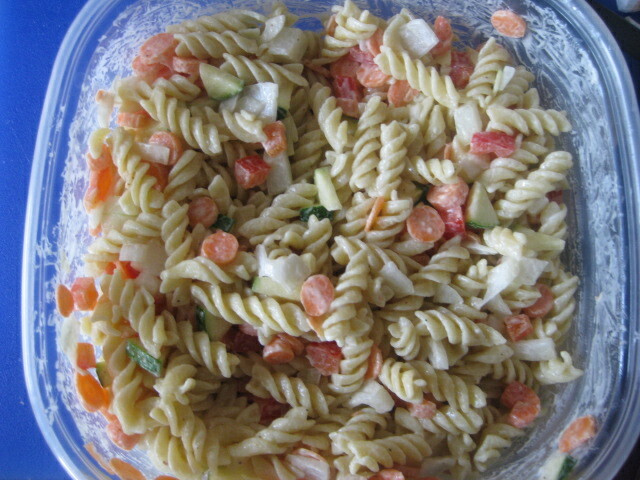 I have tried many of them (including a take on her pasta salad recipe) and they have all satisfied that soul food craving while being delightfully animal-free. Today’s recipe does not come from Simpson’s cookbook. 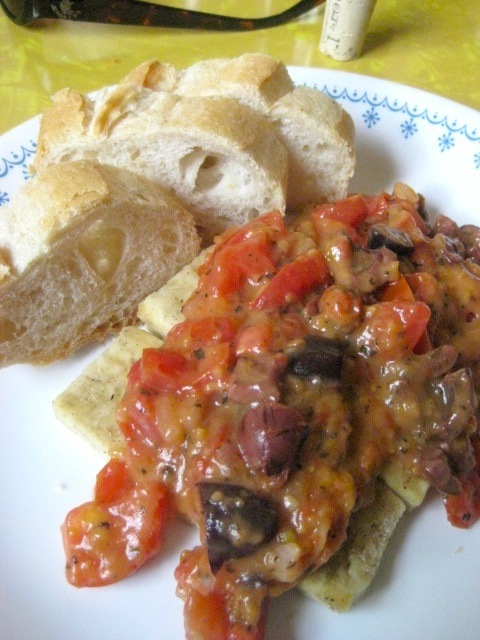 It’s a blending of a variation of recipes from different sources, VegWeb, a biscuit recipe in La Dolce Vegan, and some of my own kitchen noodling. It’s not heart-healthy, really, but it’s damn tasty. I make when I need a soul food fix, when I need something special, or when I want to make my partner smile. – Mix together the flour, baking powder, and seasonings and set aside. Mix together the silken tofu and 1/2 cup “milk” in large, shallow bowl. – To prepare the tofu slices: Dip each slice first in the flour mixture, then coat in the silken tofu mixture, then coat in the flour once more. Fry each slice until both sides are golden brown. – To prepare the gravy: Save at least two tablespoons of the cooking oil. Add two to three tablespoons of the leftover flour/seasoning mixture and stir in up to 2 cups “milk” (more if you like it thinner, less if you want thicker). Keep stirring until gravy is thickened. – Pre-heat oven to 450 degrees. Stir together the flour, baking powder, salt. Stir in the vegan margarine, “milk,” and vinegar until well blended. Knead dough for about a minute, roll out dough on a lightly floured surface, and cut out biscuits using a biscuit cutter, cookie cutter, or do what I do: Lightly flour the edge of a glass and use that to cut out the biscuits. 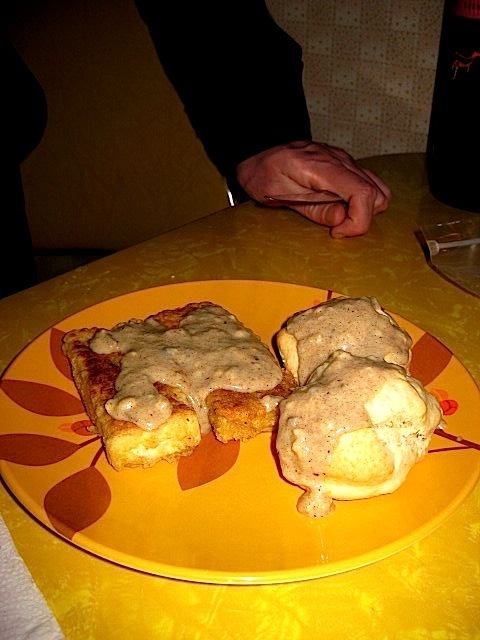 – Bake the biscuits on a lightly greased sheet for 12 to 15 minutes. An indoor picnic in December? Me and my partner spent all of Saturday in West Virginia, cheering on the Mountaineers as they won their final game of the season. Then we joined some other WVU fans at a local bar to watch the basketball team and then the Big East Conference deciding U Conn-South Florida game. After freezing solid at the game, then drinking on and off the rest of the afternoon and evening, we were pretty bedraggled by the time we got home well after one am. Around waking at noon, I had a sudden impulse for cookout type food, despite the fact that it was snowing outside. Maybe it was because James (who is vegan) doesn’t get to eat much at the tailgate before and after the games, the pasta salads and barbecues and most of the other food usually not even close to being vegan, but… I was hungry to make some brunch that would be football season appropriate. In addition to its tie in to the season’s end, I wanted to make something that would be, for the most part, incredibly easy to make. Somehow, my laziness never prevents us from eating. This time, it paid off just right. Boil pasta. 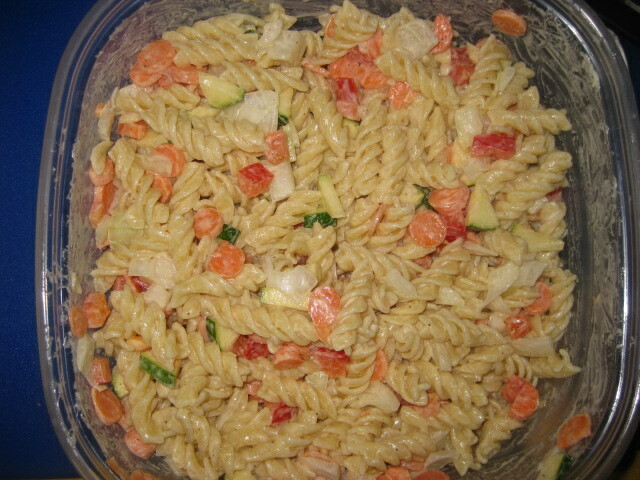 Add all ingredients to cooled pasta and mix thoroughly. Refrigerate for at least an hour. – Mix 1/2 cup of flour with seasoning. Cut tofu into large slices, then coat each one in the flour mixture. 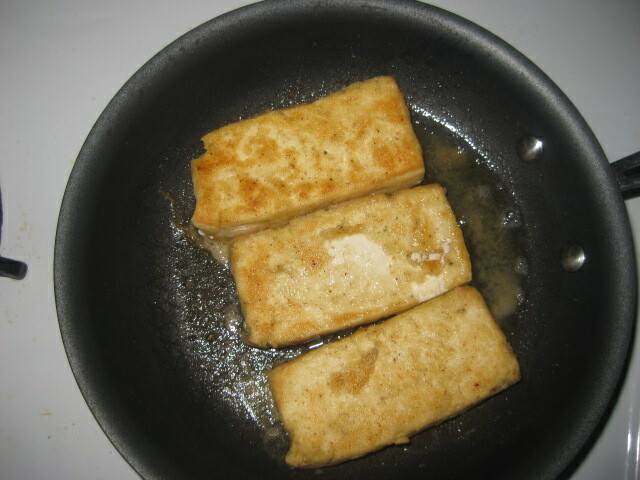 Heat vegetable oil, then fry tofu slices, until both sides are golden and crispy. Turn the heat to low, then add the barbecue sauce, to taste, flipping the slices as needed to coat evenly. 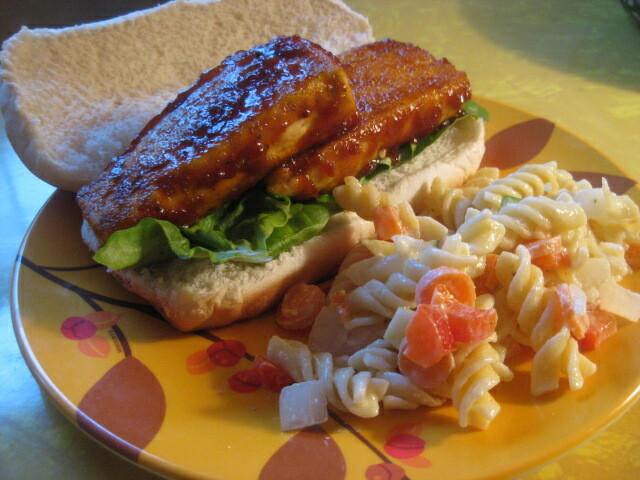 Serve with lettuce on a toasted bun. And if you feel kind of odd eating this kind of food indoors in December, set the heat at seventy and spread a blanket on the floor. That’s the kind of thing I would do as a kid. Posted in Food, In the Kitchen, Lunchtime!